With a great website design, games from multiple top developers and regular player bonuses, Vera&John Mobile Casino is a number 1. This slots app that pays out more than £250,000 each day to mobile players. Licensed in Malta and operated by Dumarca Gaming Ltd. Vera and John comes highly trusted, regulated and well managed by a team of experienced professionals. Brace yourself for this chilling game from Play’N Go, House of Doom believe it or not comes with Doom Spins! Vera&John Casino is one of Slotsquads most popular mobile casinos because of the sheer size of its online slots and games portfolio, one that features more than 700 betting activities. It is one of the best looking platforms for the IOS iPad range and peaked at the Slotsquad test review board for Android compatible speed and performance ratings. It’s a casino that runs smooth on all mobile devices and we love it! There are two types of mobile slots and casino sites currently operating within the gaming industry. First are the casinos that came early and made the mistakes. The second type is this one, Vera&John is a brand injected with confidence and charisma from enthusiasts who love the game just as much as we do. First launched in 2011 and has since built one of the largest and most reputable mobile casinos in the world. The graphics and games look sharp; the user interface is friendly, and navigation is straightforward. The whole Vera and John Casino core ingredient seems to be fun orientated, in that the brand strives to become the world’s most lucrative yet quirky online games empire. It’s a name that doesn’t take itself too seriously and offers rewards on par with some of the biggest names in the business. Make no mistake, this casino carries serious firepower in terms of slots, betting and traditional table games all ready for mobile play. Each option has been carefully selected to ensure players get the best of both worlds, whether that’s free play or betting for real money. Slots of all variances, payout rates, jackpot capabilities, reels, bonuses and features cover the entire genre spectrum. Slots make up more than 85% of Vera and John mobile casino with a collection that grows monthly. New games featured include Balloonies, Black Widow, Golden Ticket and Hot Shot. Real money players looking for the popular classics will be happy to see Siberian Storm, The SlotFather, Thunderstruck II, Blood Suckers, Crown of Egypt and Da Vinci Diamonds also in the lineup. The Pizza Prize mobile slot is one of the most entertaining games for smartphone and tablet with this particular title joining hundreds of others in the listings. Vera&John games line-up includes Happy Halloween, Guns N Roses, Family Guy, Arcader, Birds on a Wire, Starmania, Dragon Dance, Rugby Star, Sparks, Spinata Grande and Twin Spin amongst many other top rated slots. 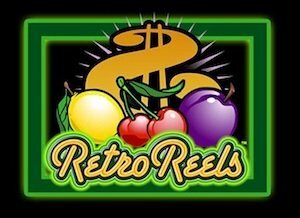 It’s not just video slots that complete the range here with Verajohn.com offering fruit machine style games and more traditional slot titles such as Lucky 7, Bell of Fortune and Irish Gold. Payout Rates are competitive sitting above 94.3% RTP with prizes from just a few hundred pounds to hundreds of thousands of pounds. Vera and John Mobile Casino uses powerful software that re-creates the casino experience in the palm of your hand. Featured as part of the table games group, players can find both simulated roulette and live roulette with inclusive dealers. Other table options found are Mini Baccarat, Blackjack including American Blackjack and Casino Hold Em. Four games of video poker complete the set with a couple of instant games thrown in for good measure. In all, Verajohn.com mobile casino can entertain its members thanks to a vast selection of betting options. What’s both incredible and unique about this casino is the sites structure and responsive design. Powerful script and code written for today’s powerful smartphones and tablets allow Vera & John free reign over multiple operating systems and display resolutions. Whether you play roulette on the iPad, blackjack on a blackberry or slots via Android, it happens quickly and looks fantastic when using Verajohn.com software. The color scheme is fun and bold, getting around is simple, and game selection is swift. The advanced software used at this casino allows integration with the world’s leading online games developers, not just one like most other mobile sites, but several. The result is fair play for real money in one of the most secure environments ever developed. Leading software developers collaborating include Bally Technologies, BetSoft, IGT, Microgaming, NetEnt, NextGen, Play’nGo and Yggdrasil. The site runs a fair support element for players with the proven model that’s currently being used across the mobile games sector. It consists of email, telephone support, and a thorough FAQ section. The venue has opted for only the most popular and secure of payment methods. They have a mix of both online and offline transaction mediums. Safe payments can be made using Neteller, Mastercard, Visa, Skrill(Moneybookers), InstantBank, Paysafecard, PostePay, iDeal and GiroPay. Slotsquad recommends Vera & John as a top gaming source for real money players. This is because of its endeavor to offer 24-hour withdrawal requests. One of the fastest in the industry. The smooth operation of Vera and John mobile casino is a formidable force. Players come here for the variety, the loyalty and the security. They come here because it looks good; it plays smooth. It runs quickly on Android smartphones, iPhones, iPads and tablets all the same. Verajohn.com is more than just a betting app. It’s a top of the range handheld gaming network. You won’t be disappointed.